Wuah! Just got back from Malacca from work and trip and I just had one of the best trip in my life! So fun! And now both my arms are tanned and some more uneven! One arm tanned darker than another one. I have to put on more and more whitening lotion already! Sorta got addicted with Pink recently. Can't get enough of it, which by the way it's one of this Summer trending color so why not? Tight, curve hugging mini skirt is one of the boom list for summer and guess what! 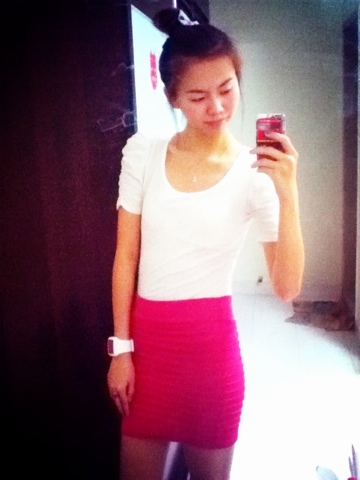 I picked this pink one for just RM10! totally a steal!!! 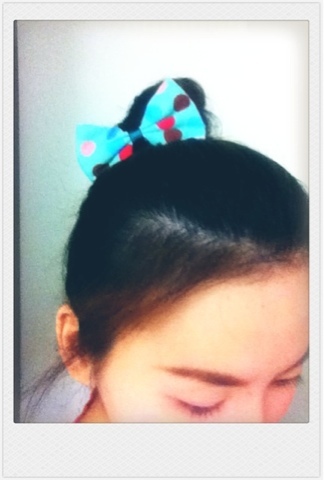 My coordinate on Friday movie night. Lol. 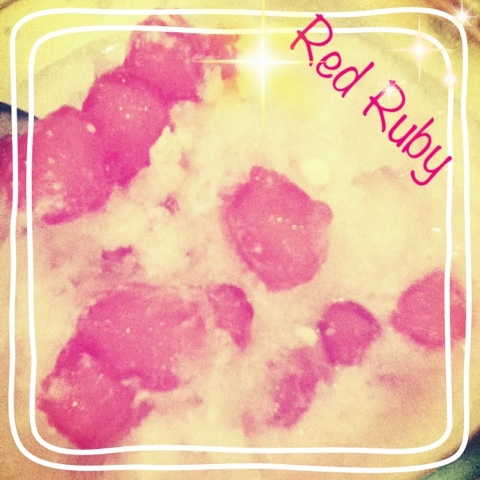 Red Ruby Thai dessert. Yums yums.